Living in Paris can be a dream come true. Whether you’re accepting an exciting new job or choosing to study in Paris, you can be sure that you’re in for the experience of a lifetime. While it can be difficult adjusting to the culture change that results from moving to a different country, or even continent, you’ll soon realize that life in Paris is filled with opportunity. Learning a foreign language and immersing yourself fully in French culture gives you the chance to experience and explore everything the city has to offer. Once you learn the ropes and familiarize yourself with the best neighborhoods and modes of transportation around the city, you’ll find yourself adjusting quite well to life in one of the most historically significant and vibrant cities in the world. While finding the right kind of accommodation by trial and error may be appealing to the more adventurous among us, it isn’t the best way to start your new life. There are many neighborhoods in central Paris and the suburbs of the city that may be the right fit for you, but there are a few things to consider. The location of your job or university should of course be a factor in choosing your ideal housing situation, but the convenience of the metro does give you more flexibility. Depending on your budget, you can rent a studio or a more traditional apartment, but you should prepare yourselves for the differences of French living from what you’re probably accustomed to. Prices in Paris’ different arrondissements vary depending on what the neighborhood has to offer, so if you’re on a tight budget the more popular arrondissements may not be for you. Advertisements for apartment vacancies can be found in the newspapers as well as online, and usually contain the arrondissement where the apartment is situated. This should help you decide the best area for you that fits into your budget. 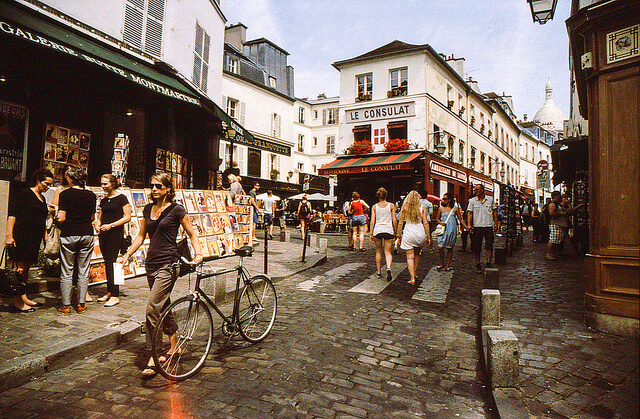 The city center districts such as the 1st and 2nd arrondissements are more expensive areas for renters, since they’re home to tourist attractions such as the Louvre and Jardin des Tuileries. Prices average around 2,000 euros per month for a two bedroom apartment, and there’s easy access to the metro. You’ll be within walking distance of a quite a few restaurants and bars, but keep in mind they will be priced for tourists visiting in abundance. The area isn’t that ideal for everyday shopping either, although the Champs Elysees is nearby. Apartments in the 3rd and 4th arrondissements are slightly more affordable, and there’s lots to do in terms of theatres, museums and shopping. If you’re interested in nightlife and would like to live in one of the more upscale residential areas of Paris, the 8th arrondissement, Elysees, is a great choice. Apartment rental is similar in cost to the 1st and 2nd arrondissements, but there’s much more nightlife and shopping opportunities available. For students, the 5th arrondissement, or Pantheon, is ideal as its home to a number of universities and colleges, including the Sorbonne. Prices start at 1,600 euros per month for a two bedroom apartment, where you’ll be close to student friendly bars, restaurants and shopping. You’ll rarely need to use the metro, as there’s plenty large chain stores and smaller supermarkets and stores within walking distance. Owning a car in this area isn’t advisable, since there’s limited parking, and what’s available is quite expensive. The Jardin des Plantes is also nearby for those sunny days when you’re feeling the need to relax outside. Making new acquaintances in this arrondissement won’t be difficult at all, since you’ll find many students and young people around to socialize with. For the American living in Paris, having your countrymen nearby can be comforting as you’re settling into your new home. 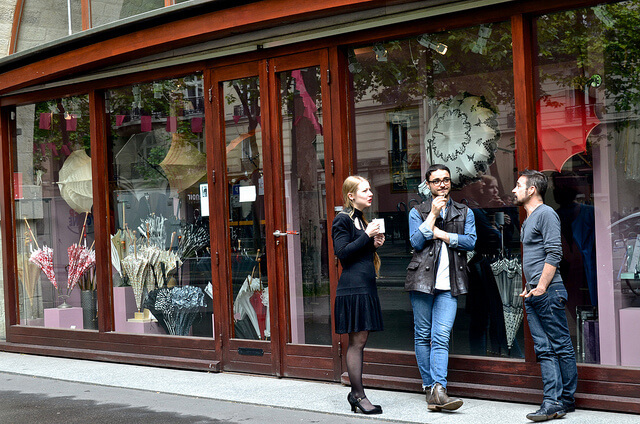 The 16th arrondissement, Passy, is home to many expats and has a strong American community. For the young family moving to Paris, this area is great for kids as its the home of the International School of Paris, and the Eurecole, a French immersion program that prepares its students to sit other European examinations as well. Housing in this arrondissement costs between 1,400 and 2,000 euros a month, making it more affordable for a wider range of people. Located near the Arc de Triomphe, Passy features high end shopping near the Seine, as well as budget friendly shopping where you’ll find international aisles in many of the supermarkets. The style of housing varies from upscale historic townhouses to new construction apartment blocks near the river. The 17th arrondissement is similarly priced, and has the same variety of housing. Enjoying a french film at one of the nearby cinemas or relaxing in one of the small parks in the neighborhood is a great way to unwind in your free time. There are also a number of businesses and offices in this neighborhood, so you may find yourself a short distance away from work. If you’re moving to Paris with a larger apartment budget to work with, the 6th arrondissement, Luxemburg, is an ideal location for you. A two bedroom apartment in this area is priced between, 1,800 and 2,600 euros. The higher cost could be because many housing options are located in historic buildings converted into modern apartments with a touch of Parisian flair. This area features a number of high end boutiques and chain stores where you can get your shopping done with ease. You’ll enjoy spending time outdoors in the Jardin du Luxembourg, and commute to other areas of the city is easy via the nearby metro and bus stations. This is the ideal neighborhood for those looking for a quiet, comfortable and upscale place to live. Of course, living in Paris means that some of the world’s most famous locations are in your back yard. You can visit the Louvre any day of the week, see the city from the viewing room of the Eiffel Tower, have hot croissants whenever you wish, and cruise the Seine River at your leisure. Its truly la bonne vie.